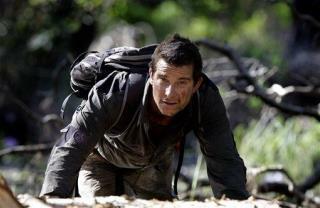 (Newser) – A British man survived for three days in the Australian Outback using techniques he learned watching survival reality shows on television, but authorities say those same techniques nearly prevented him from being rescued. Anthony Collis was traveling with Debbie Blomfield (described in various media as his "partner," "traveling companion," or "girlfriend") through the remote Pilbara region of northwest Australia Thursday, when their car got bogged down in muddy terrain, per the Independent. The two then walked off in separate directions, with the Telegraph noting they'd allegedly had an argument. Blomfield walked for 5 miles before showing up, disoriented and dehydrated, in a mining camp, where she reported Collis missing. Reads like a couple of nitwits who should never have left the city.